Our free live chat app, WhosOn SmallTalk, is scheduled for a key structural update. In a nutshell, the product is switching from a desktop-based client (a chat app you download to your machine) to a web-based client (an app you simply use from your browser). We can’t wait to deliver the new experience. In the meantime, here’s a handy snapshot of the update that answers all your ‘when’, ‘what’, ‘why’ and ‘how’ questions. Firstly, it’s important to clarify that this update exclusively affects WhosOn SmallTalk. This is our free, slimline live chat edition for small businesses, with a minimal feature set only. Our core live chat solution, WhosOn, will continue to run via a desktop client. If you’d like any further information on how WhosOn SmallTalk differs from WhosOn, check out this link: https://www.whoson.com/inside-whoson/inside-whoson-smalltalk/. When is the updated scheduled for? We’re updating WhosOn SmallTalk on 31/10/2018. So, please note that on this date, there will be a brief window of planned downtime expected from 07:00-10:00 GMT. We’re making WhosOn SmallTalk a web-based chat experience only. This means you will be able to run it directly from your web browser – with no need to use a separate desktop app. Moving away from the desktop client means that you can chat to your customers with no extra components or installations. Instead, you simply log into the easy new web client. Importantly, the update affects the WhosOn SmallTalk set-up only. You’ll find the same product you’re used to, just switched to a web-based client rather than a desktop client. There is absolutely no feature loss, no new charges to pay, and no interface changes. 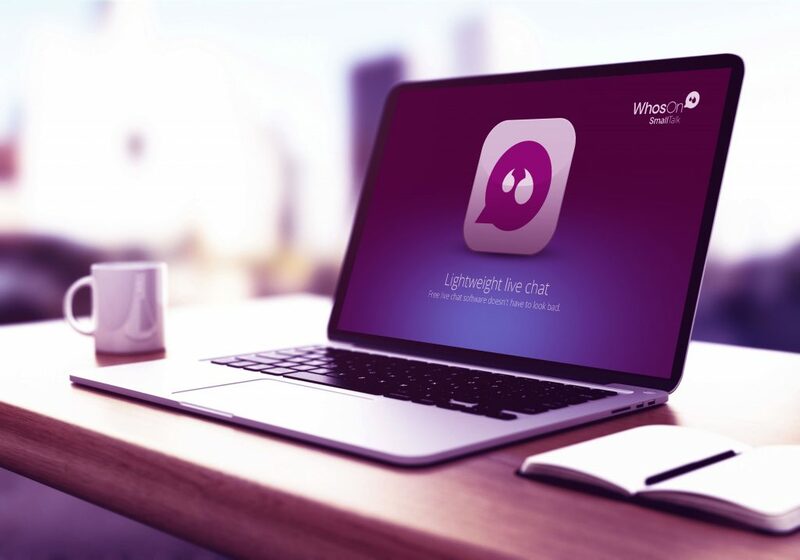 WhosOn SmallTalk is all about slick, slimline chat – without the price tag or the hassle. This update is designed to make the product even simpler and more accessible. Rather than having to download a client onto your PC, you get a cleaner experience with less effort and fewer touchpoints. You can chat to your customers without ever having to leave your web browser. Plus, switching to a web-based client means less downtime long-term. The journey for users is smoother; the product becomes easier to support and scale long-term; and chat becomes even faster and easier. 1. Your new web-based chat app will be available to use here: https://smalltalk.whoson.com/web. 2. Log in to the client using your existing details. 3. Have a click around – you’ll find the same easy set-up and design. 4. Uninstall your previous desktop client from your machine. The desktop client will no longer be supported following the update. 5. Get chatting! You can now chat directly from your web browser – whether it’s Firefox, Chrome, Safari, IE or Edge. If you’d like any help or further information on the WhosOn SmallTalk update, our team is happy to help. Simply start a live chat session with us and we can answer any questions you might have.